Western Stima ace named SPL valuable player for 2016 – Kenyatta University TV (KUTV). All Rights Reserved. 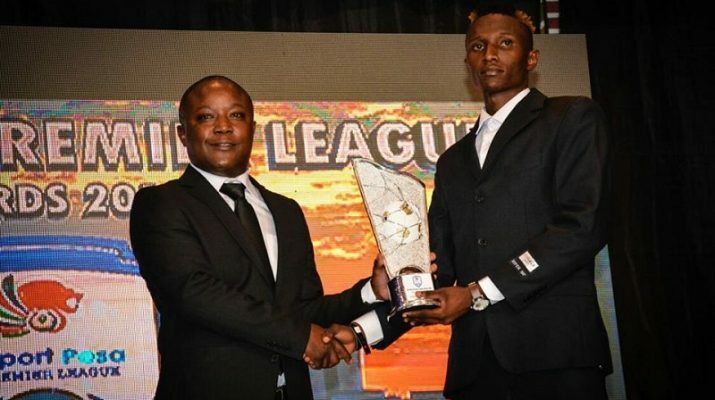 Western Stima ace Kenneth Muguna was named the Sportpesa Premier League’s Most Valuable Player for 2016, taking home a KSh1m cash reward. The player was also named the Midfielder of the Year at the awards held on Tuesday evening in a Nairobi hotel. Muguna, who was the Sportpesa Premier League player of the month in August, scored four goals in the 2016 season. So impressive was the player this season that he was called up to the national team, Harambee Stars, in August by coach Stanley Okumbi, although he is yet to get his first cap. Others who were rewarded at the SPL gala were Gor Mahia’s Erick Ouma, who was named the new player of the year, beating, among others, Muguna. Kakamega Homeboyz was named the Fairplay Team of the Year as the Defender of the Year and Goalkeeper of the Year awards went to Jockins Atudo and Patrick Matasi (both Posta Rangers) respectively. Ulinzi’s John Makwatta, who netted 15 goals in the season, won the goldenboot as Homeboyz’s Ali Bhai bagged the Fair Play Player award. Tusker boss Paul Nkata took home the top coach’s award, while the best Team Manager’s gong went to George Opondo, also from Tusker. The Most Improved Center Referee was Antony Ogwayo, while the Most Improved Assistant Referee award went to Gilbert Cheruiyot.